HEAVEN is a one night artistic installation conceptually curated by a chosen Visionary. The Visionary is annually selected based upon their creative contribution to the community. This elegant black tie affair is held annually the night before the Golden Globes and promises an unparalleled creative experience, rooted in our mission and representing the spirit of our diverse artistic disciplines. Each year we honor one of our supporters as The Spirit of Elysium for their tireless dedication and volunteerism to the organization. Ashley & Topher Grace in programs. Photo Credit: The Art of Elysium. 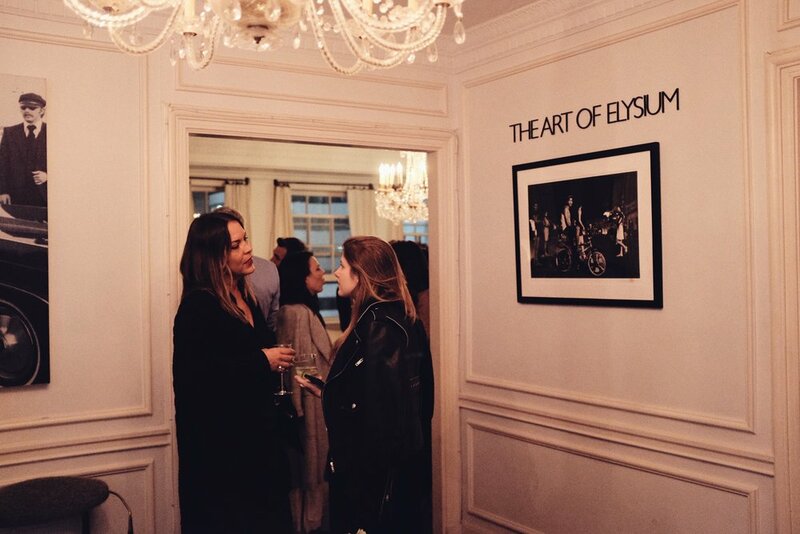 Through The Art of Elysium Signature fundraising initiatives, we support and promote our artists by creating various opportunities to showcase their art in unique and creative platforms. These platforms provide not only opportunities to share the diverse talents of our artists within the community but also to help raise funds that support our overall mission. This model of sustainability has been designed as our “full circle” mission.